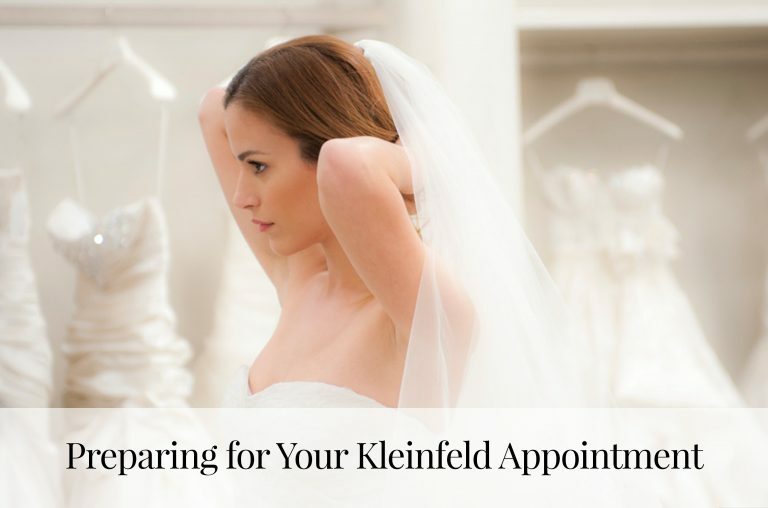 There are many little details to think about as your wedding day approaches – finalizing guest count, confirming hotel reservations and writing your vows, but one thing you shouldn’t overlook is accessorizing your bridal look! Here are the items you should keep in mind when shopping for accessories. 1) If your gown is a plain satin mermaid gown; you could wear a fingertip veil with some beading. 2) If your gown is a princess ball gown; chose a simple, cathedral veil that won’t take away from your gown. 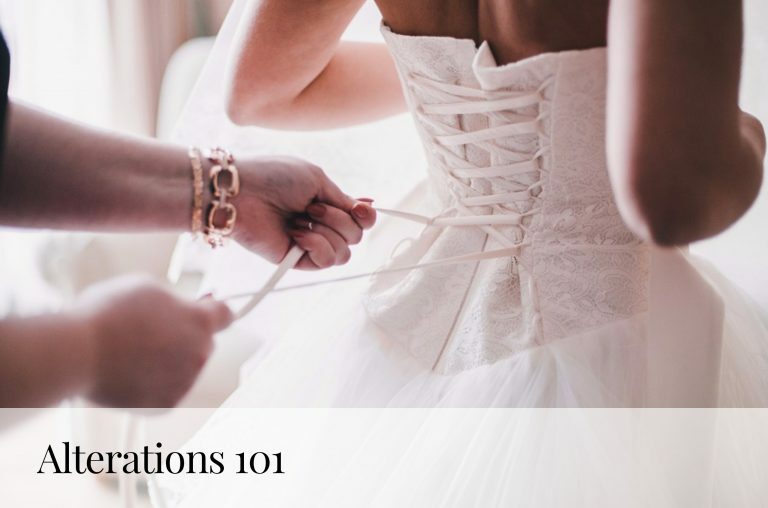 Since you probably won’t be wearing a veil out on the dance floor during your reception, we suggest adding a side comb or hair pick for your reception! If you wear a statement necklace, be sure to pair it with diamond or pearl stud earrings and tennis bracelet. If you select large chandelier earrings, we recommend not wearing a necklace, but a beautiful bracelet instead. Clutches: You’ll need a clutch to stash all of your wedding day essentials including your phone, hotel key and lipstick to reapply after your “you may now kiss the bride” moment! Shoes: Most brides that I see say shoes are the least of their worries because they are hidden under the dress. This is a bridal no-no! A gorgeous, dance-able heel is a must! 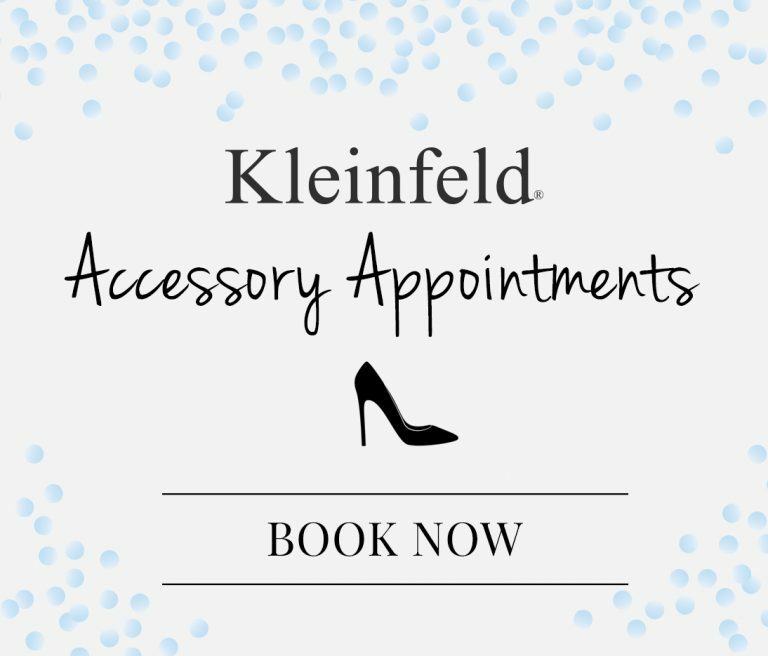 I suggest you take a look at Jimmy Choo, Badgley Mischka, or Sarah Jessica Parker shoes at Kleinfeld. Bolero: A bolero is the perfect substitute for a coat for fall and winter brides. Boleros come in all types of fabrics including lace, beading, and even faux fur! Garter: Whether you stick with tradition and do a garter toss (or not) – you’ll still want to wear one underneath your dress. > Learn about our upcoming Sample Sale!